Geometric flowers and leaves are outlined with a modern frame to create a beautiful quilt. 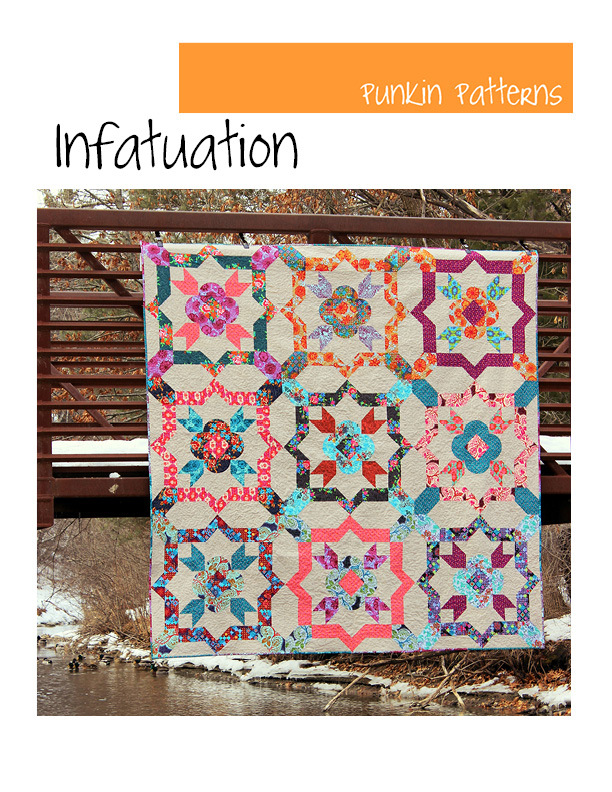 The Infatuation quilt pattern has beautiful large blocks (30″ square) that show off your favorite fabrics. 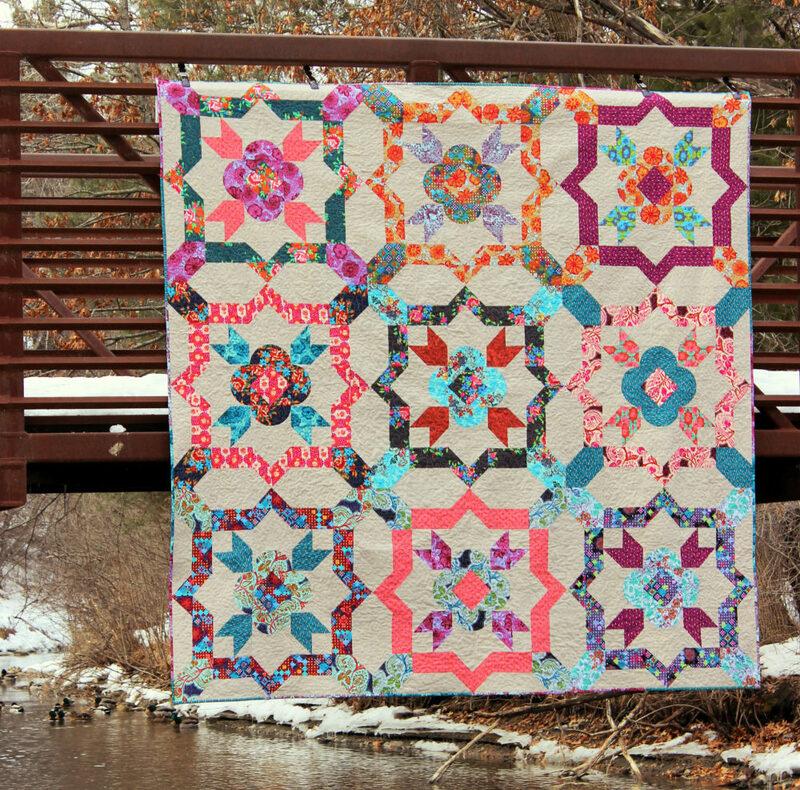 Use bright, bold prints to make a stunning quilt or soft floral fabrics for a vintage feel. 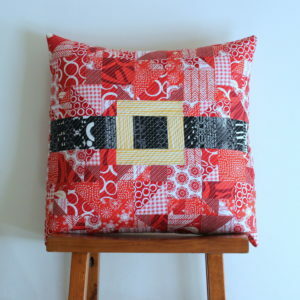 This pattern includes two sizes: throw and queen. 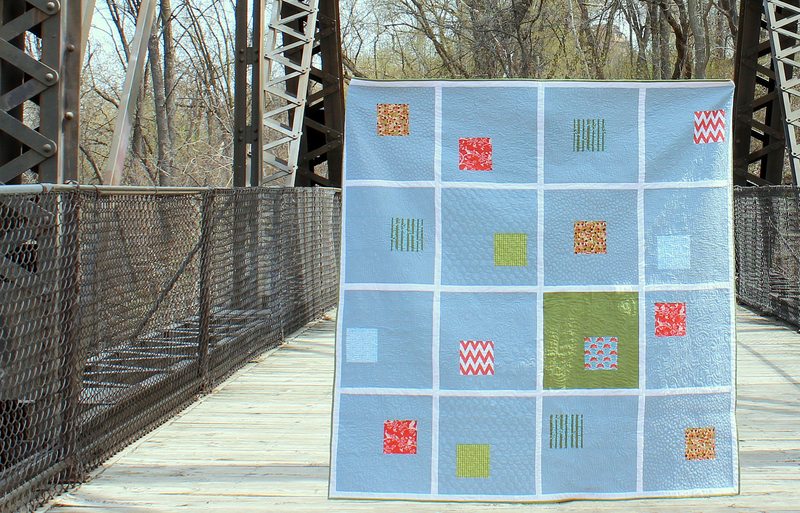 Additional blocks can be made (or removed) to change the size of the quilt. 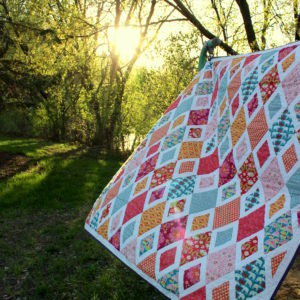 Information is included for determining amounts needed for larger and smaller quilt sizes. 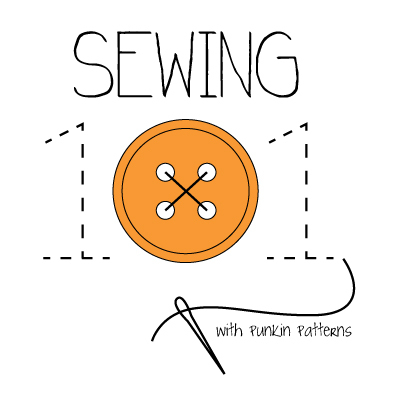 This pattern is suited for an intermediate level quilter or an adventurous advanced beginner. 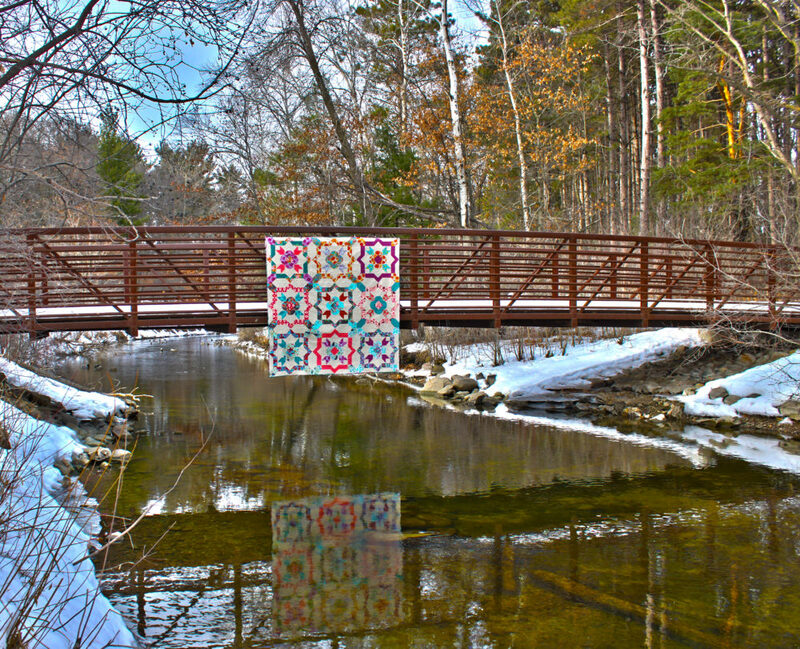 The quilt blocks are composed of straight pieces and curved pieces. 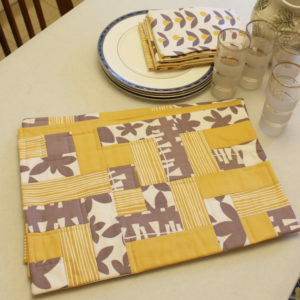 The large size of the block, the extra fabric allowed and detailed instructions make piecing the curve simple and easy. 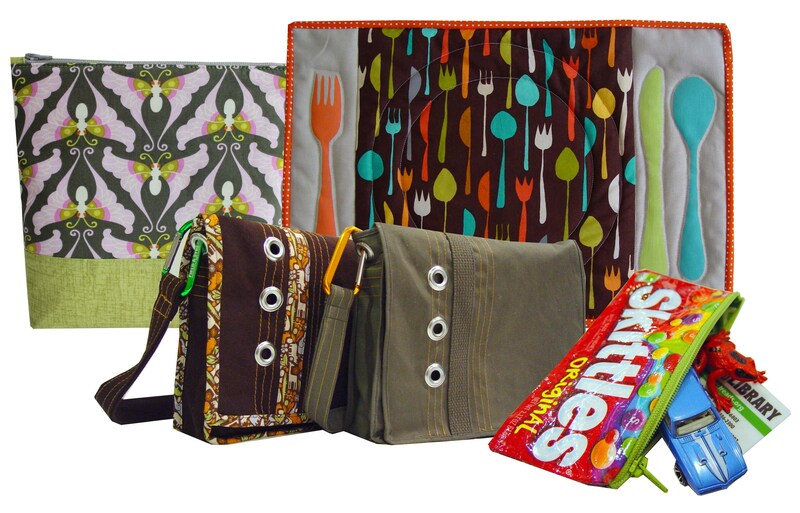 The 12 page PDF comes with complete instructions, beautiful computer generated diagrams and color photos. 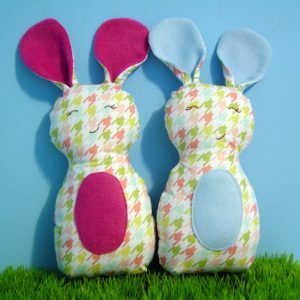 The PDF pattern pages print out directly from your computer onto standard 8.5″ x 11″ paper. 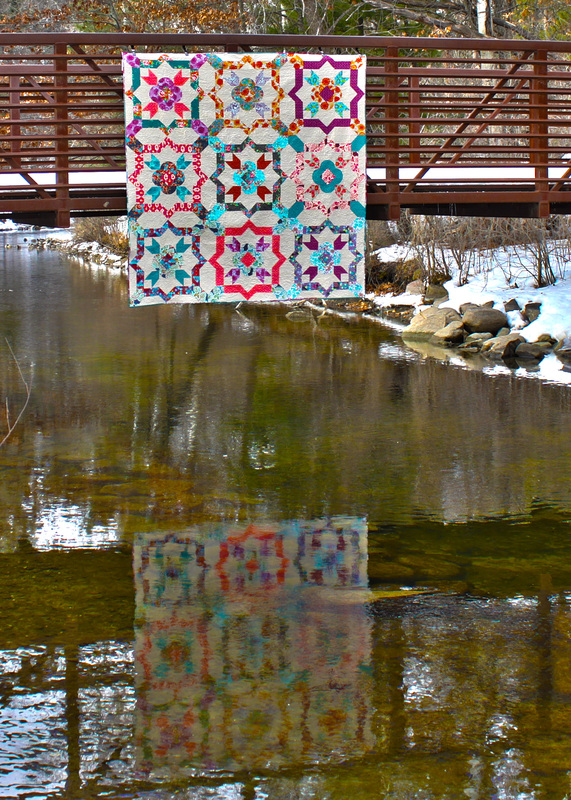 Additional information is supplied to determine the quantities of fabrics needed to add and remove blocks to make additional sizes of this quilt by varying the number of blocks used.